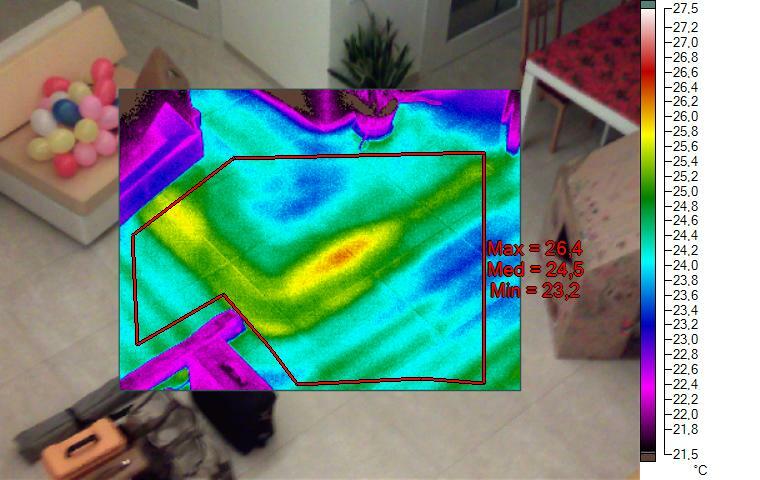 Thermography is the ideal way to measure the proper functioning of a plant-floor heating and the correct temperature of the floor plant operation. 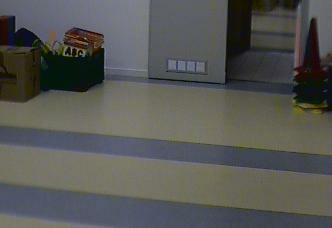 Below the image shows a room with a door area where the plant was not working. On the walls limit the maximum temperature can fluctuate between 35 ° C and 50 ° C with a recommended value of 40 ° C; attention is paid to the crowded environments, where people are more likely also stationed near the walls. 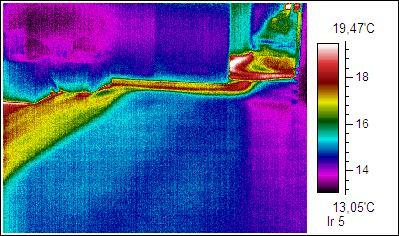 With regard to the problem of asymmetric radiant, UNI EN 15377-1 sets its maximum in 5 K, in agreement with the UNI EN 7730, according to which the maximum temperature on the floor must not exceed 29 ° C, and the differences temperature on the floor should not exceed 5 ° C.
In the thermal image temperature differences are of the order of 7-8 ° C, then the radiant asymmetry is greater than that permitted. 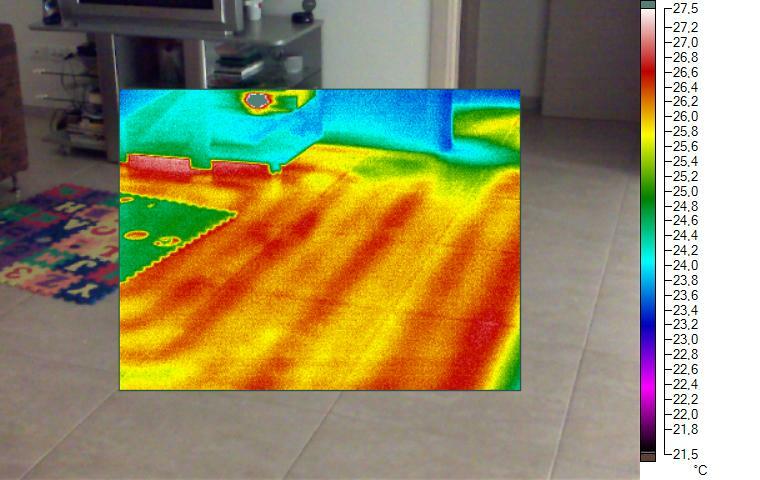 The maximum temperature of the floor is a constraint “physiological” introduced by legislation in order to avoid an excessive increase in the temperature of the floor which could lead to problems with blood flow to the individual. Obviously a uniform distribution of temperature is more comfortable and economical. When operating in the cooling of the floor you should consider the problem of surface condensation, which should never happen.